Lately, I’ve been pondering the idea of trying to “customize” my somewhat standard builder kitchen that came with the house. 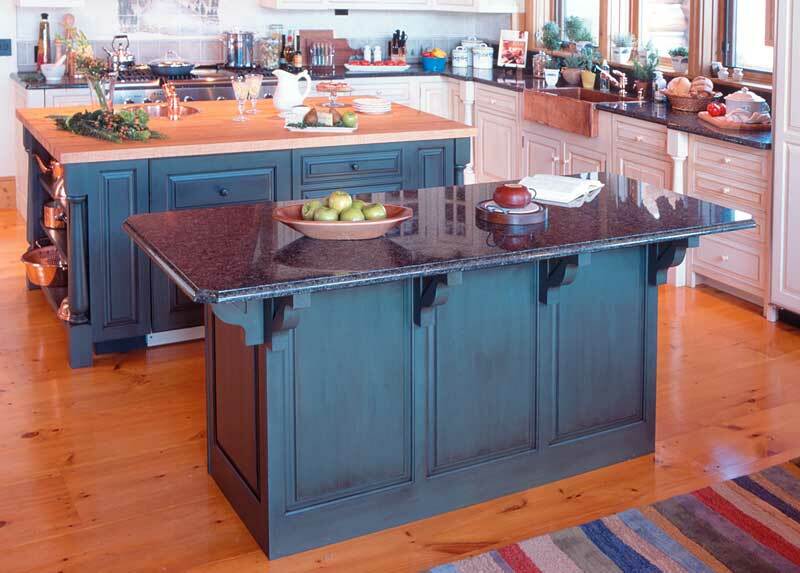 When we bought, we had very few options besides light or dark cabinets (I chose dark), but I’m thinking that painting my kitchen island and maybe adding a little architectural detailing to it would help to spice things up. These images are so beautiful! 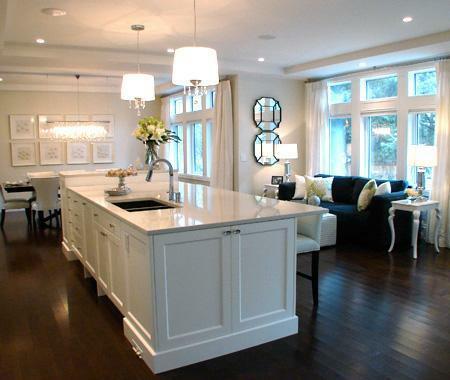 I love the cabinets in the second kitchen that look like dressers, and the island with the built-in bench. I recently did a post very similar, but with turquoise islands. I think a painted island is the way to go! paint it! :) i’m loving the third pic with the yellowish island. so fun! I love the second last kitchen. Go for it! I love island units! paint it!!! 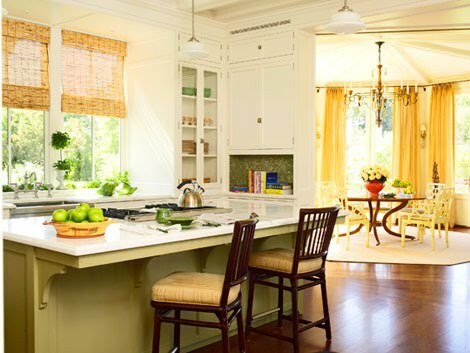 i love the lime green walls and black island! 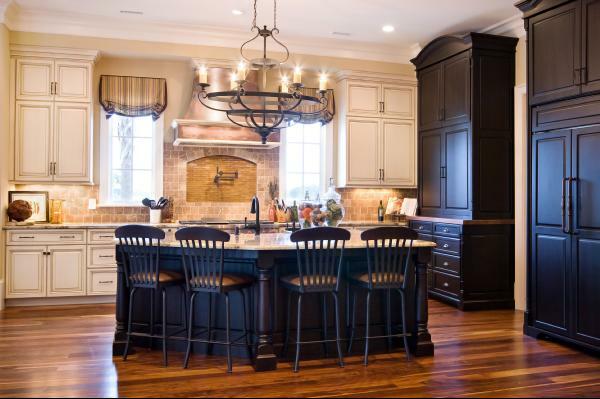 I really love the images of the kitchens with a dark island surrounded by light cabinets. The best of both worlds. I say paint it girl! It will definitely look great! Do it! The sister of a friend did this and it turned out GREAT. Totally changed her whole house (it was a “great room” sort of kitchen). I love, love, love the kitchen with the red island! I’m drooling! 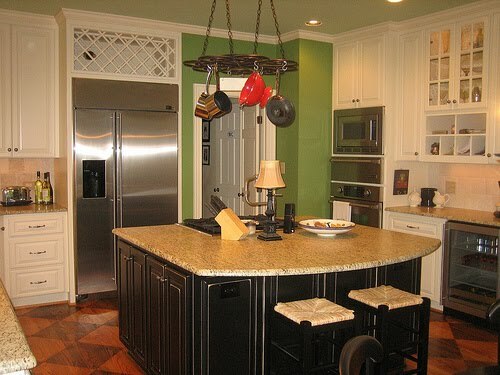 I don’t have a separate island but a counter that we do have metal bar stools! I so want to paint. I hate my boring wood! I say go for it, paint is your friend! 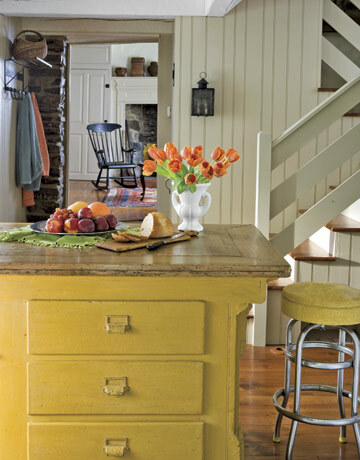 Love the yellow island – and the white one too! I say go for painting your island! I really like this idea….you’re definitely headed in the right direction! No surprise there!!! I ADORE the 4th and 9th picture – so clean & fresh! Do it do it do it! I LOVE the idea of a painted island. Definitely a way to spice things up. 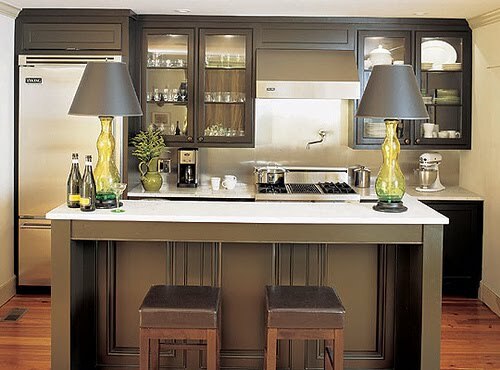 I also love that island with the attached banquette – makes for so much more room! I dont think you could go wrong, sounds like a great idea to me…I say paint it! I recently did a post very similar, but with turquoise islands. I think a painted island is the way to go! Just going through some old posts — I just did this with a client and it turned out AMAZING! I say go for it as well. 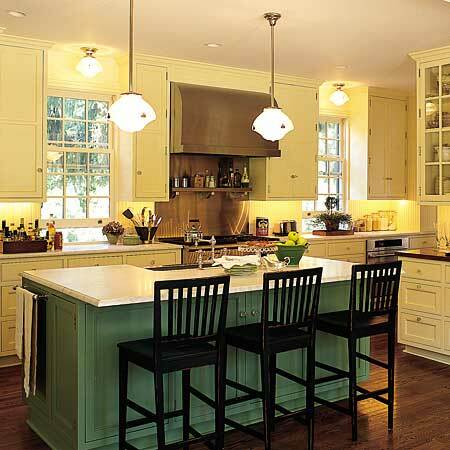 A fresh new paint and colors can definitely add spice to your kitchen. I was in a similar situation with you before. 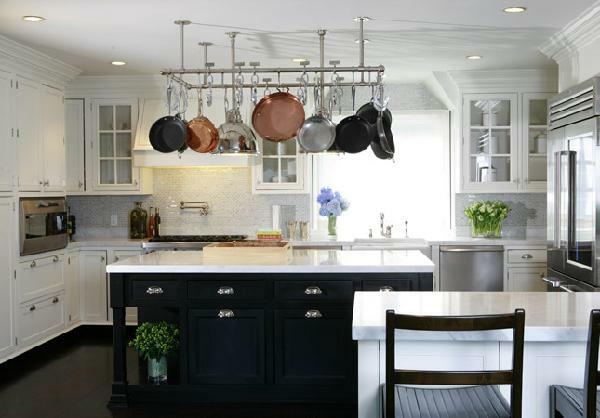 I was bored with the standard fixtures of my kitchen so I decided to paint the island and placed new hand forged iron chandeliers to the kitchen and dining room. It turned out really great and made my kitchen more fun. After sometime, I also added hand forged iron bar stools to match the chandeliers! 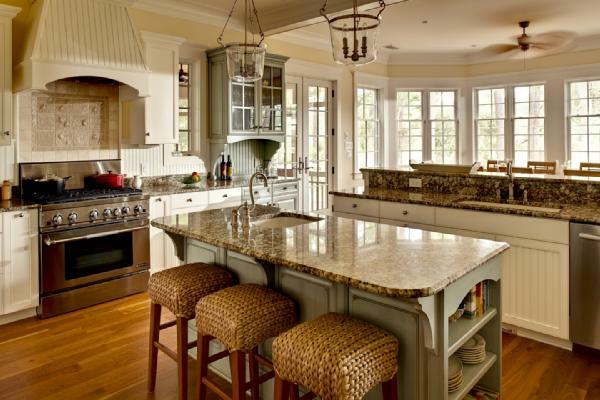 What color paint is on the island in the 12th picture (last)…such a soft, subtle green.